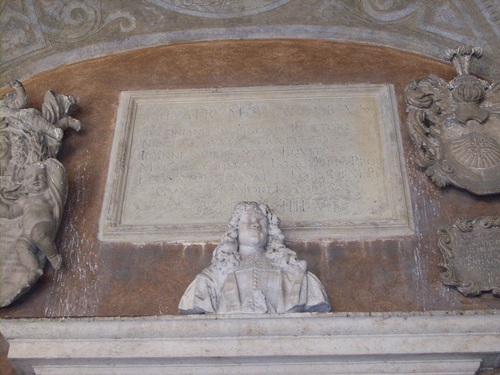 Girolamo Fabrizi d'Acquapendente's bust is placed on the jamb of the main entrance to the Anatomical Theatre of Padua. 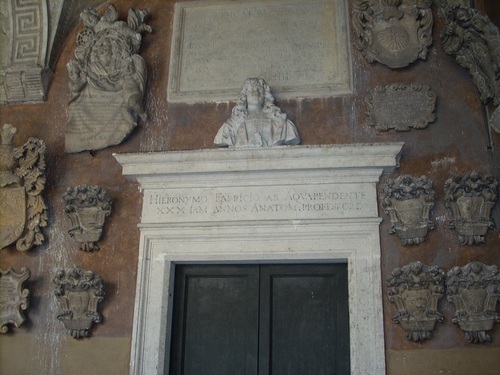 Above the bust, it can also be seen a marble plate, which celebrates the first permanent Anatomical Theatre in Europe, promoted by Girolamo Fabrizi d'Acquapendente himself. 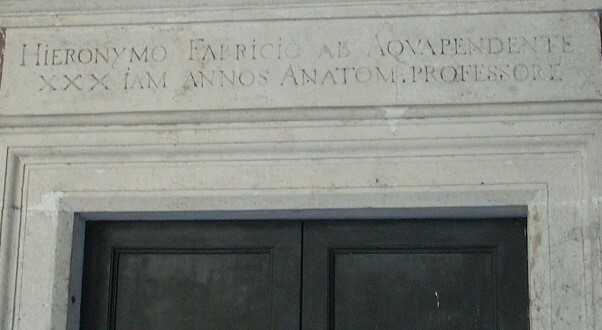 This monument has the aim of giving the proper importance to Hieronymus Fabricius, a great Italian anatomist, surgeon and physiologist.